The first of these interesting drinks was a product of Thailand called, somewhat simply, ‘Tamarind juice’ and, according to the ingredient list, this was largely what comprised the beverage, save for the addition of corn syrup. 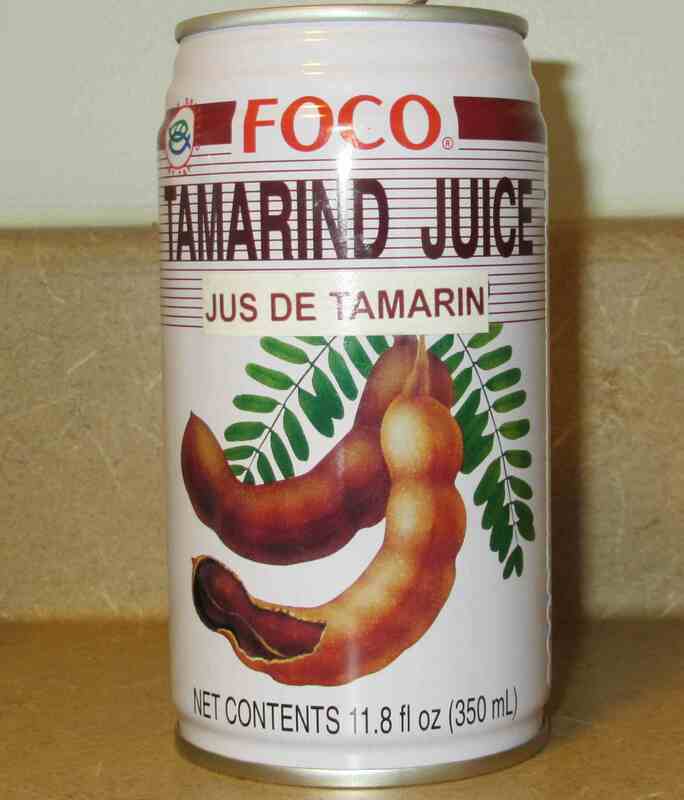 Having cooked with Tamarind preparations, I was rather expecting the drink to be a lot more tart than it was, especially as tamarind is often used as souring agent, but it was really quite sweetish. The best way I can describe the taste is that it was rather like a combination of flat cola, prune juice and weak lemonade. It wasn’t bad, even a little refreshing for a hot day, actually, but I don’t think I am ready to give up 7up in its favor just yet. According to Wikipedia, Grass jelly, which it actually refers to as mesona chinensis, is made by boiling the leaves of a plant in the mint family and then using starch to form a black translucent jelly. This is then cut into cubes and the taste, according to the article is supposed to be a ‘light iodine lavender’ flavor. Although I drank straight from the can, I did tip a little out and there are indeed little cubes of jelly in the fluid. They were indeed black in color, but I can’t honestly say that I experienced any hint of lavender, or of iodine, for that matter. The taste, I should say, was a very mild tropical fruit flavor with banana dominating, and the sweet component was very much more the warm sweetness of honey rather than plain sugar. I liked the taste but I can’t say that the jelly cubes really enhanced it at all. I am not fond of having pulp in my orange juice and so trying to drink the ‘bits’ in this beverage really didn’t do it for me at all… an interesting experience, I suppose, but not one I care to repeat. Sour prunes is a great comparison for tamarind. And it also gives you the same results (if you know what I mean). 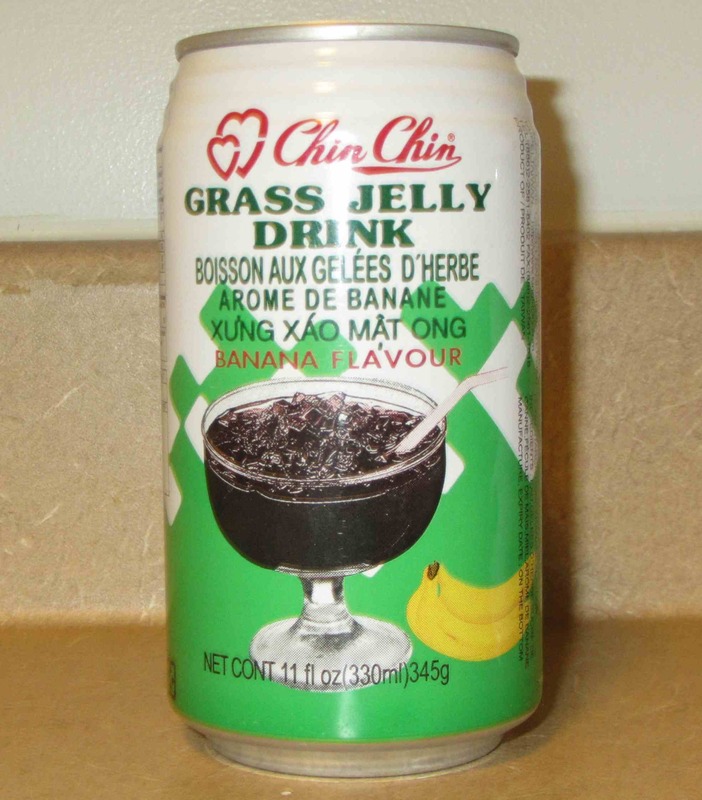 I grew up with grass jelly and I always accepted that it was tasteless. The syrup it floats in makes it edible and we eat it because it is healthy and has a fun texture. Have you tried the winter melon drink? I love this. It’s a little sweet for me but the flavour and aroma is delicious! No … I’ve yet to even eat winter melon. It is widely used in Chinese cuisine.., I am hoping to see it in our local stores someday.